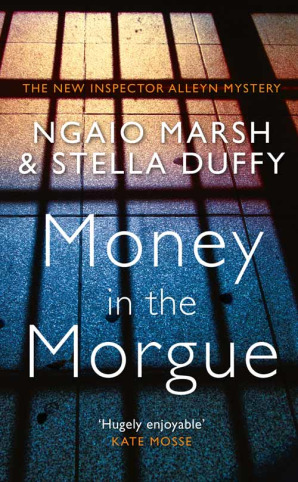 Dame Ngaio Marsh wrote the first few chapters, the title and time-frame for this novel, which is set in New Zealand during the Second World War, and Stella Duffy has solved the crime and completed the novel for publication. And you would be hard pressed to find where one stops and the other starts. MONEY IN THE MORGUE is a Golden Age whodunnit, full of clues and interesting characters and quite farcical revelations. But the story and all the crimes are underpinned by the horrors of the war and the impact it is having on New Zealand and on those who have served, and who are waiting to get back to the fray. And it is also full of love of the New Zealand environment, nicely gawped at by Alleyn as he wearily works through the night to solve the smaller crimes and forestall a much bigger one.